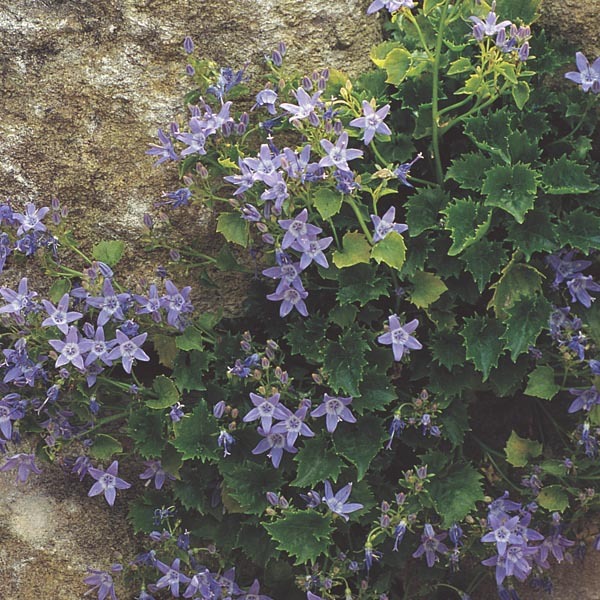 This spreading species of Campanula creates a sea of starry blooms all summer, creating a soft backdrop for taller, bolder plant companions. An excellent choice for tucking into wall crevices for a cottage garden effect. Perfectly sized for rock gardens and border fronts. Charming when tucked into rock crevices or walls. Perfect selection for filling in between paving stones. Very easy to grow in virtually any location. Does best in light, well-drained soil. Keep soil moist, watering freely in dry weather. Remove faded flowers for best display.